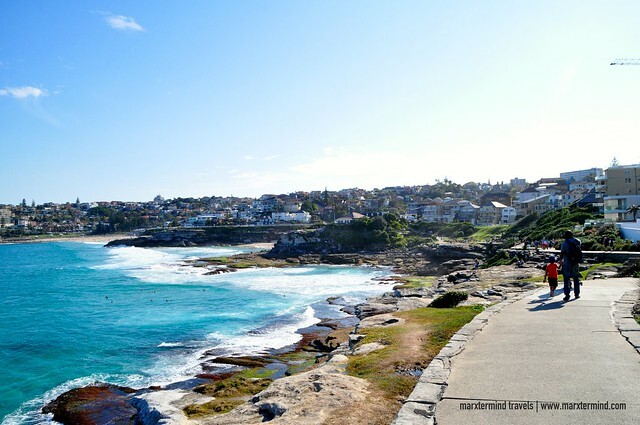 “You have to do one of these interesting walks when you get here in Sydney, Marx.” My friend told me when she shared a link of an article listing down some scenic walking tours that can be done in Sydney. 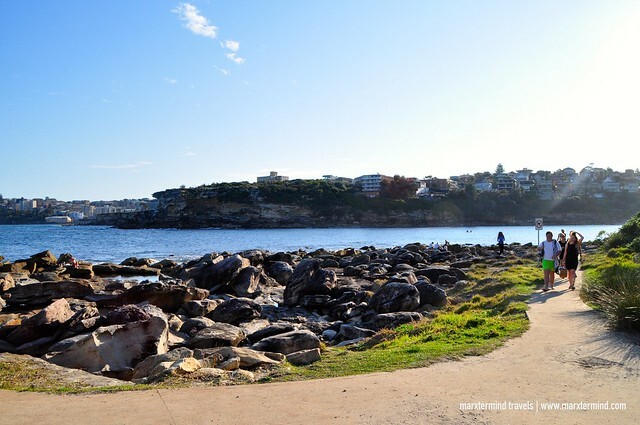 If only I had plenty of days to spend in the city I could have done all in the list but since I was confined with time, I’ve only done one that I found most interesting, which is the coastal walk from Bondi Beach to Coogee Beach. 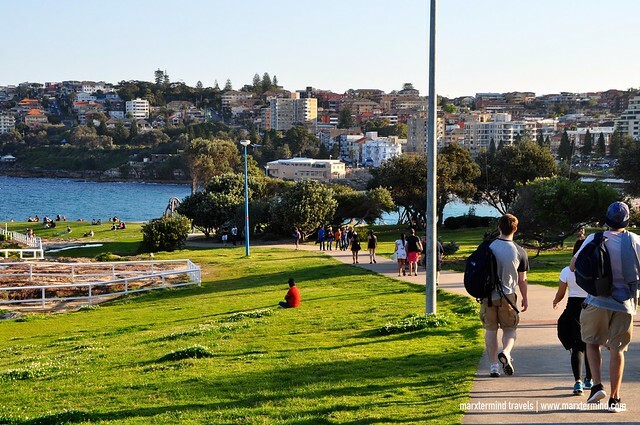 The Bondi to Coogee Walk is a popular coastal walk in Sydney with spectacular views from Bondi Beach to Coogee Beach. 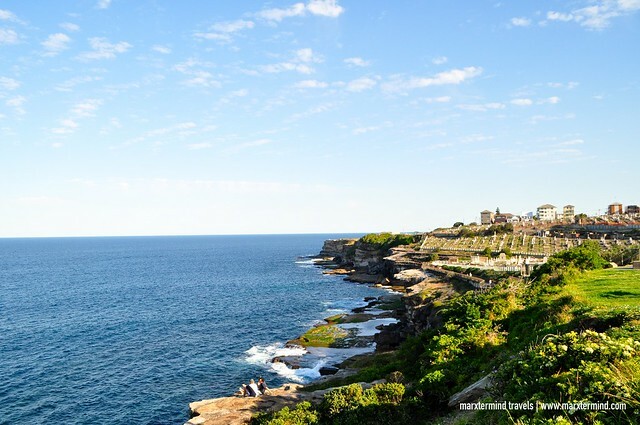 The coastal walk extends for six kilometers that passes through several beaches and coves like Tamarama, Bronte, Clovelly and Gordons Bay. In a normal pace, it would take 2 to 3 hours to complete the activity. 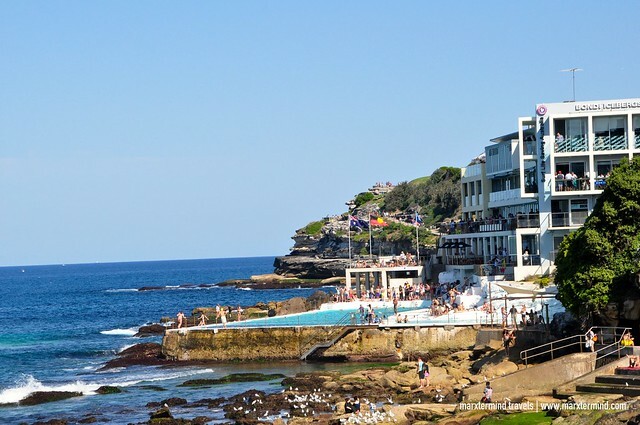 A festival coincided the day of our visit in Bondi. 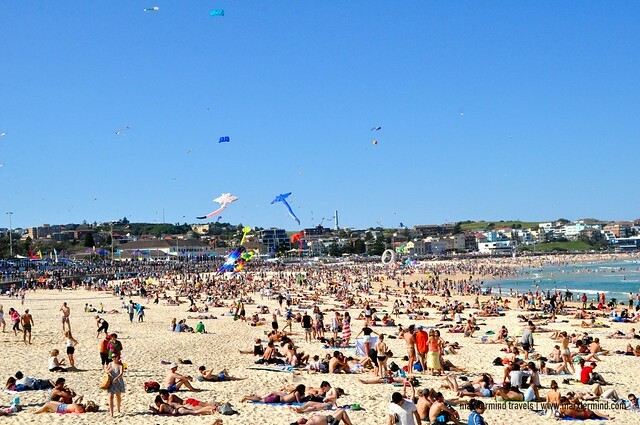 The Festival of the Winds is a kite flying festival that takes place in Bondi Beach during spring. 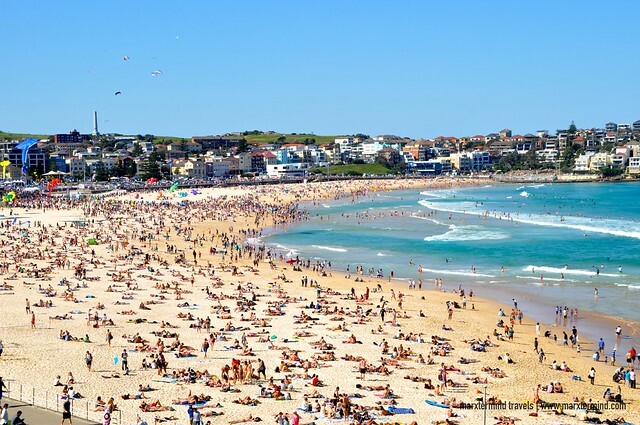 It was funny that my friend and her boyfriend who lives in Sydney didn’t know that such festival exists in Bondi. 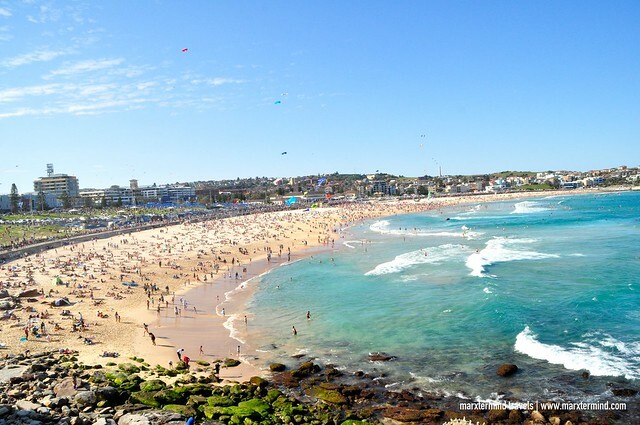 Because of the festival, many people went to Bondi Beach that made it difficult for us to get a bus ride. The kite festival showcases colorful cartoon characters, giant animals, beautiful flowers, fighter kites, box kites, delta kites and a lot more that make the skies come alive. Several locals and international kite flyers participate in the event showing their amusing flying skills and amazing hand-made creations. Anyone can also join in and fly their kite at the beach. 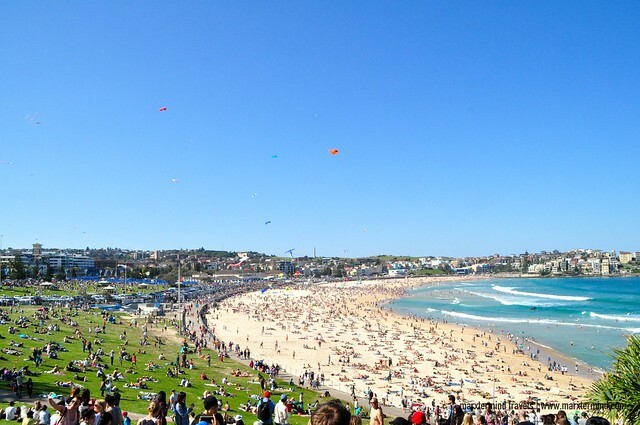 It was really nice seeing various huge colorful kites flying over the Sydney’s most popular beach. It was just too bad that we didn’t have much time to enjoy and witness the happenings at the festival. 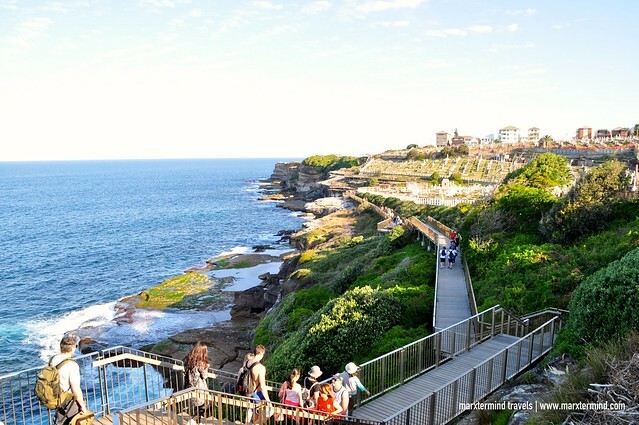 We have to get moving and start walking at the cliff top coastal pathway to Coogee Beach. We started walking past noontime. It was good that the weather was sunny. 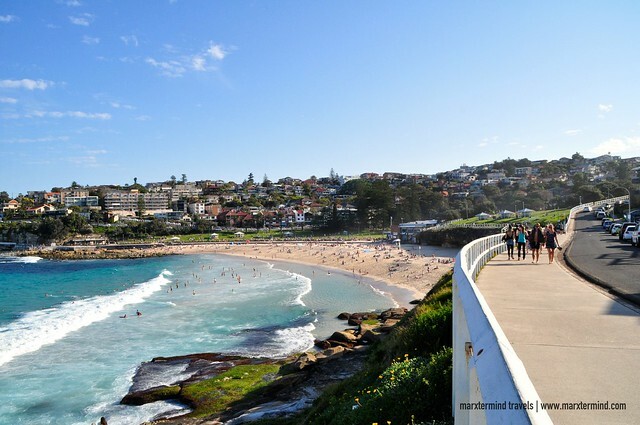 I was able to see the beauty of Bondi Beach at its finest. The beach was crowded but it was still gorgeous as it looks. If I only brought swimming clothes with me, I might have been in the water already. 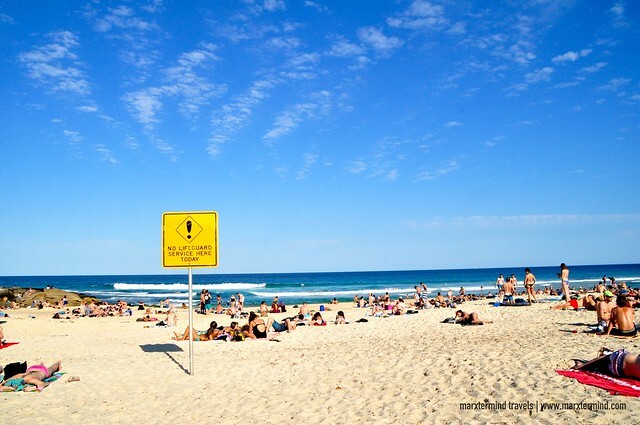 But I wish that there would be no sharks that would have come closer to the shore in case I had taken a swim at Bondi Beach. The walk was pretty relaxed. 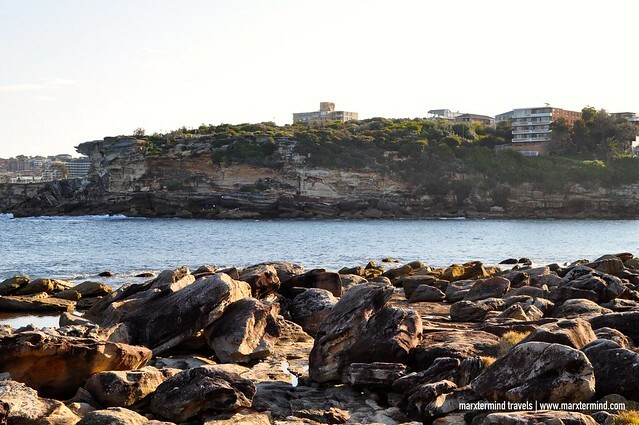 There was no need to hurry because every step took us to a great scenic spot like Tamarama Beach. The cove was very picturesque. It was charming. I could spend my entire afternoon at that cliff top gazing the sea. 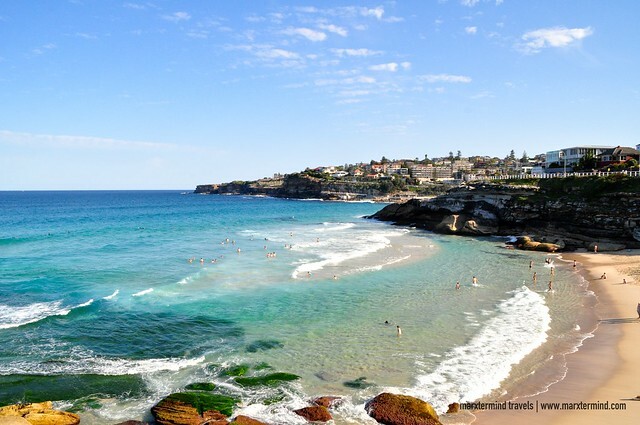 Tamarama Beach is a small beach measuring to only 80 meters long. Pleasant parkland and picnic areas surround the beach. The beach was a beautiful spot that is worth a visit. 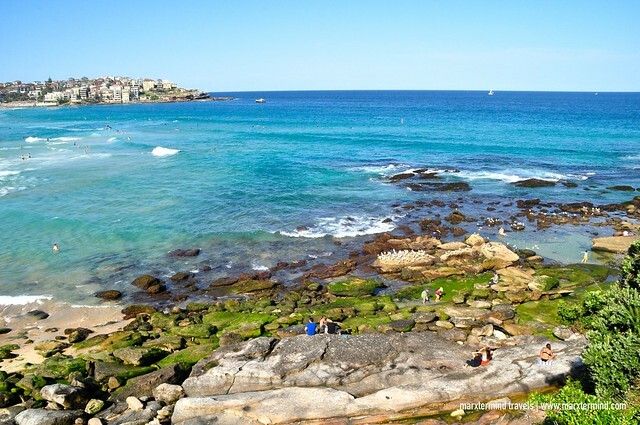 We continued strolling along the coastal walk until we reached the next beach, the Bronte Beach. The beach is small but it is a famous recreation place along the coastal walk. The area was very scenic. It has spectacular ocean and beach views. This part of the coastal walk has glorious blue water and sandy beach. 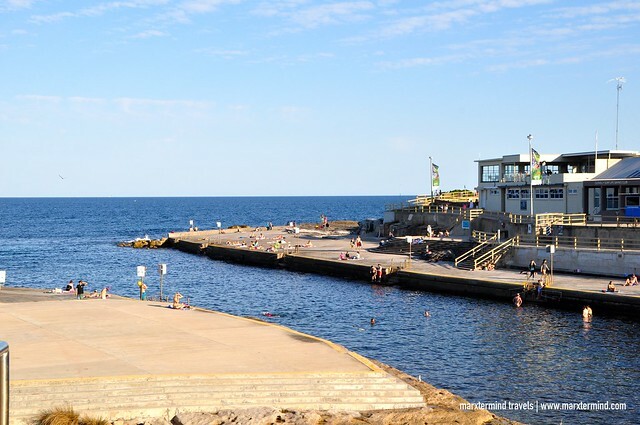 The area also has fantastic playground, picnic area, grassy lawn, plenty of eateries and rock pools that make it a nice place for a getaway with family or friends. 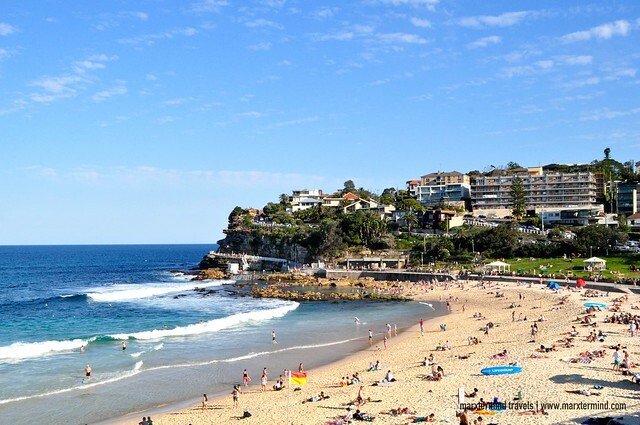 Bronte beach also said to be a great place for swimmers and surfers alike. 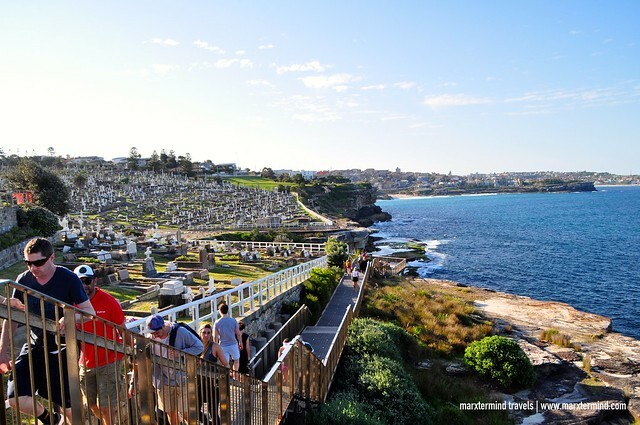 We passed by the Waverley Cemetery and Burrows Park on our way to Clovelly Beach. The cliff side walkway beside the cemetery was one of the nicest spots that we’ve seen during our coastal walk. In fact, this was the spot that I’ve seen from the article that my friend shared to me that made me decide to do this activity. The cliffs were glorious. I’ve got amazing pictures of the beach and the cliffs. We continued our walk and reached Clovelly Beach. The beach is just a small one. It sits on the end of the narrow bay that is popular with swimmers. We had arrived at the hardest part of the coastal walk, the steep path going to Gordon’s Bay. The walk going to Gordon’s Bay features a very steep staircase. It was challenging but the cliff top view was so rewarding. Gordon’s Bay is a secluded location that is said to be the home of the underwater nature trail. 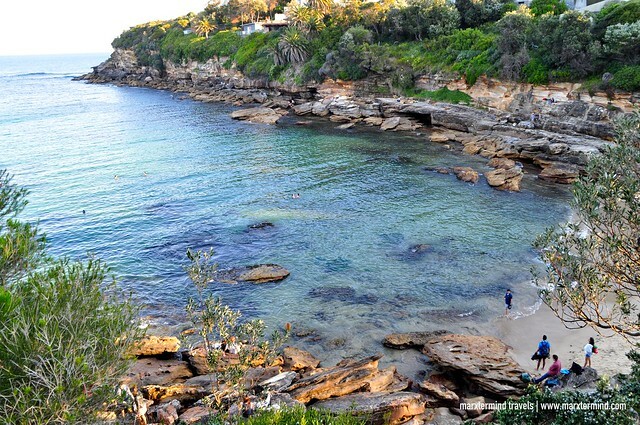 It has the best beach along the coastal walk that is perfect for snorkeling. 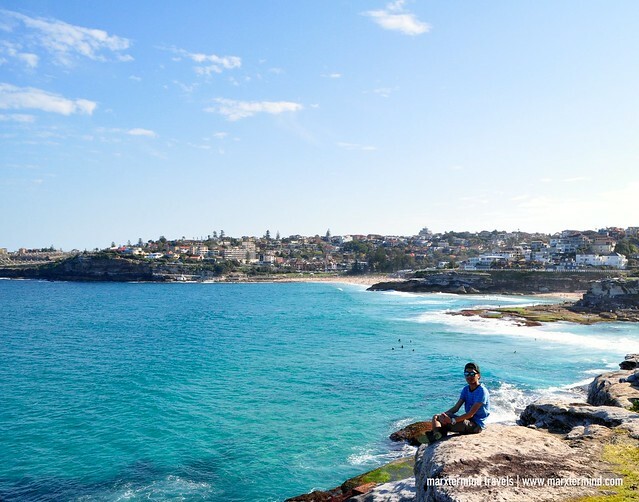 A beach haven featuring a magnificent coastline was our reward for completing the scenic coastal walk from Bondi to Coogee. It was after 2 hours when we completed the track and reached our destination. 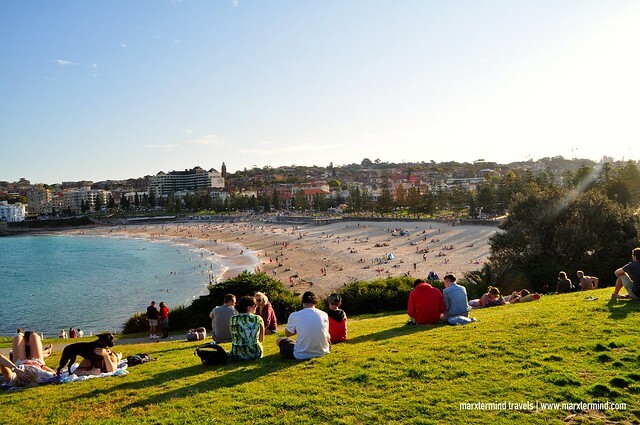 Coogee Beach is another popular beach destination located in suburb Sydney. 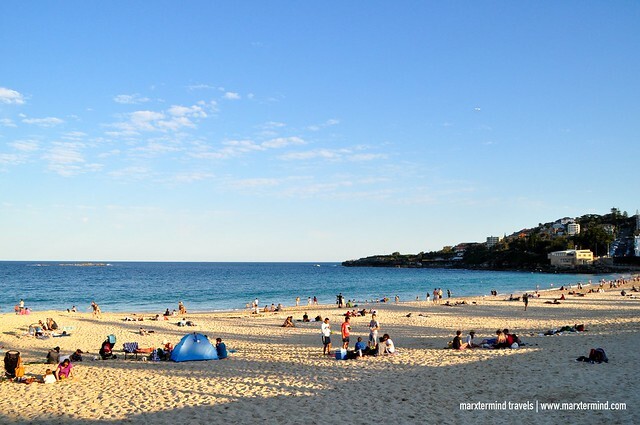 It gets crowded with beach-going Sydneysiders and visitors alike. It has plenty of parklands perfect for barbecues and picnics. 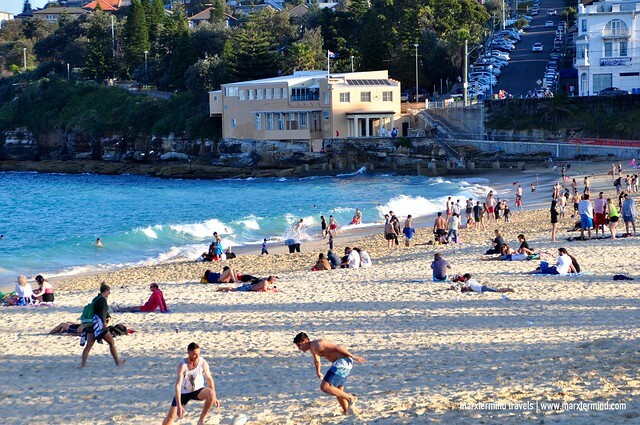 Coogee is an all-time favorite beach destination in the suburb district that pretty sums up the typical Aussie beach vibe. Coogee Beach was a perfect place to end our coastal walk. It has this laid-back feel despite of the many visitors that time. Because it was a success that we had able to finish the coastal walk, we treated ourselves not with a stunning scenery but a delicious gelato from Gelatissimo this time. I guess we deserved it, right? 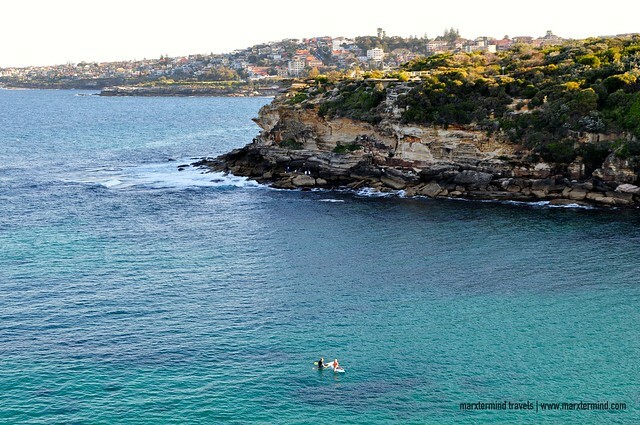 It was amazing that we were able to do the cliff top coastal walk from Bondi to Coogee. The stroll brought us to see stunning views and cliffs and get to lovely beaches, parks and bays. 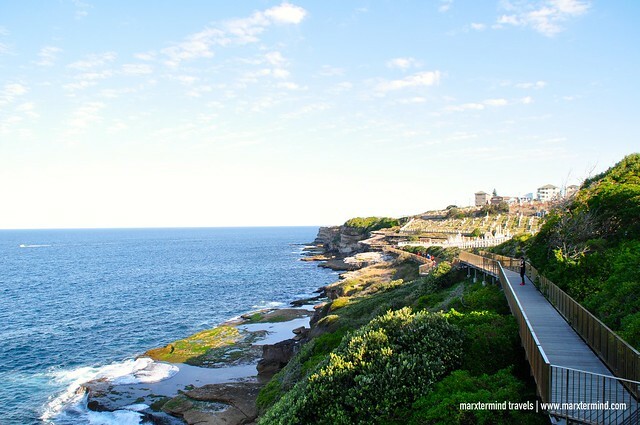 The coastal walk was such an exciting thing to experience in Sydney. I was just too happy that the city has still several places like this where people can just go and enjoy the beach, the nature and the scenery.